The Jaundiced Eye: Oh, the Horror of it All! Nothing like a good cleansing fire. 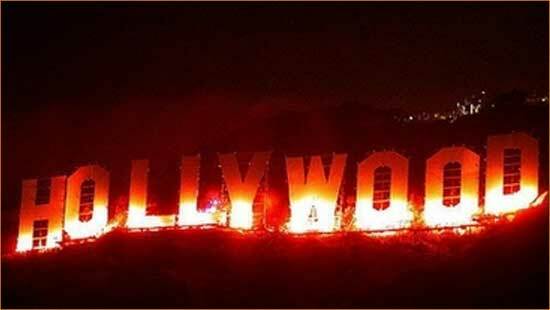 “Hollywood needs to burn”, I believe that’s how it was put to me by a very good friend the other night. I completely agree and think we should start the blaze by using some of the latest horror film scripts! Our conversation started like it usually does, discussing the latest news regarding forthcoming horror movies and inevitably coming round to the “why do they insist on re-making classics”, which then naturally lead us to the debate of “if they’re going to re-make a classic, why must they screw with the original story”? That’s when I mounted out my little soap box and refused to come down for the following quarter hour. My latest in a long line of “what the Hell are they thinking” rants, comes from reading about the impending release of Catherine Hardwicke’s “Red Riding Hood” or “Twilight sinks its fangs into the brothers Grimm.” Another classic tale that’s been bastardized into a sloppy teenage soap opera with gorgeous set dressings and no soul. Sure, I understand the lure of millions of dollars being made off of rehashed fairy tales that are being pedaled to hormonal teenagers. Its easy money and very little effort, but I do NOT understand the gratuitous layers of glory and prestige bestowed upon the manufacturers of this stale product. If these films were likened to high school English homework assignments, there would be an over abundance of giant, juicy, red “F’s” being handed out amongst the class, due to the blindingly clear fact that its simply plagiarism on a grander scale. Whatever happened to thought provoking thrillers and films that made you check the backseat of your car at night before you dared open the door? Where are the cold sweat, nightmare inducing horror films? The answer as I see it, is that Hollywood has lost the ability to think for itself. Taking the time to create and develop new ideas has become a waning skill, that much like the wild woods of this country are doomed to be run over and lost forever, in lieu of big money. True terror has been traded in for cheap tricks, buckets of blood and entrails and varying degrees of startle effects. A good horror film does usually include some, if not all of these things, but lately they’ve been reduced to JUST these things. Where are the stories? Where are the performances? Where the hell is the HORROR? A bucket of guts is just that, unless there’s a good story to bring them some importance. Otherwise they’re just another bucket of guts looking for their lost glory. A long time horror fan, Auntie Maim builds monsters in her backyard. When not strapping electrodes to hapless victims, you can find her - front and center - at any Ghoultown show.